Live Soccer TV and Radio app allows you to enjoy live streams of all major football matches across the world. 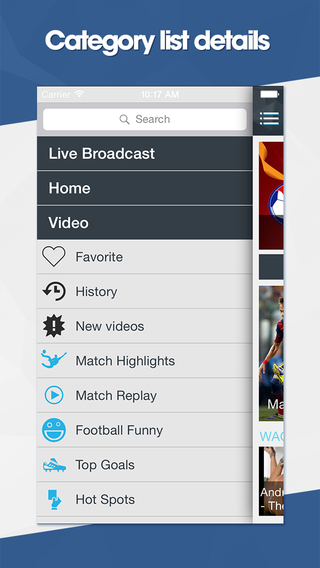 The app also offers the best videos of match highlights, goals, soccer skills, WAGS and more. o This app offers a rich selection of major football leagues including the EPL, La Liga, Bundesliga, the UEFA Champions League and the Europa League. o With many different servers for you to choose, you can enjoy high quality videos without getting lag. o Keep up-to-date with the latest scores, standings, schedules and more.